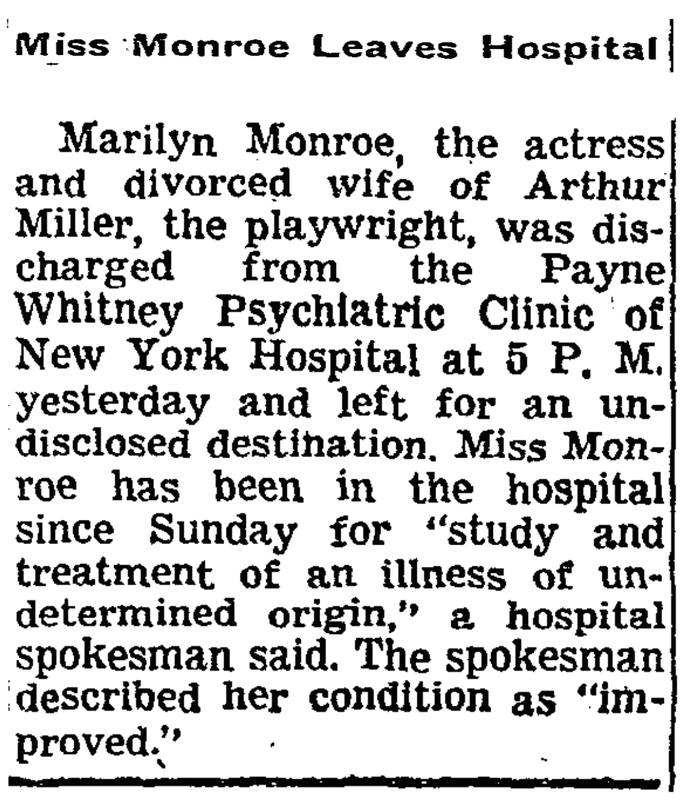 The doctor listed on the psychiatric hospital charges for Mary Miller (aka Marilyn Monroe) is Mastrovito, which would have to be Rene C. Mastrovito as listed in the Payne Whitney annual report. I wonder if he's one of the two doctors of whom Monroe wrote, in a letter to Lee and Paula Strasberg: "Dr. Kris has had me put into the New York Hospital—psychiatric division under the care of two idiot doctors—they both should not be my doctors." I'm only using one doctor in the play. It appears Mastrovito was very close to Monroe's age and he died in 1994. 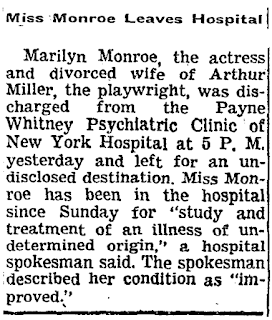 It's interesting to see how her stay at the Payne Whitney was described by the NYTimes in this brief article.